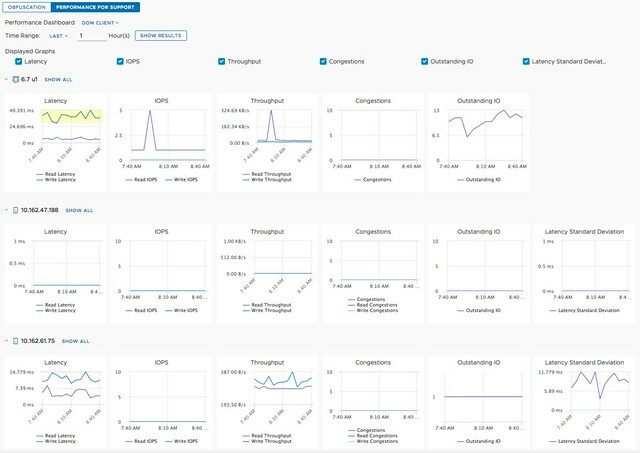 VMworld – VMware vSAN Announcements: vSAN 6.7 U1 and beta announced! So let’s look at each of these, first of all, VMware vSAN 6.7 U1. We are adding a bunch of new features, which I am sure you will appreciate. The first one is various VUM Updates, of which I feel the inclusion of Firmware Updates through VUM is the most significant one. For now, this is for the Dell HBA330 only, but soon other controllers will follow. On top of that there now also is support for custom ISO’s. VUM will recognize the vendor type and validate compliance and update accordingly when/if needed. /localhost/VSAN-DC/computers/6.7 u1> vsan.unmap_support -e .
When you run the above command you should see the below response. Pretty simple right? Does it really require the VM to be power cycled? Yes, it does, as during the power-on the Guest OS actually queries for the unmap capability, there’s no way for VMware to force that query without power cycling the VM unfortunately. So power it off, and power it on if you want to take advantage of unmap immediately. UI Option to change the “Object Repair Timer” value cluster-wide. This is the option which determines when vSAN starts repairing an object which has an absent component. And last but not least, with vSAN Stretched we have the capability to protect data within a site. As of vSAN 6.7 U1 we also now have the ability to protect data within racks, it is however only available through an RPQ request. So if you need protection within a rack, contact GSS and file an RPQ. I am not going to reveal anything about this, simply to avoid violating the NDA around this. Sign up for the Beta so you can find out more. And then the last set of announcements was around functionality introduced for vSAN in VMware Cloud on AWS. Here there were two major announcements if you ask me. The first one is the ability to use Elastic Block Storage (EBS volumes) for vSAN. Meaning that in VMware Cloud on AWS you are no longer limited to the storage capacity physically available in the server, no you can now extend your cluster with capacity delivered through EBS. The second one is the availability of vSAN Encryption in VMware Cloud on AWS. This, from a security perspective, will be welcomed by many customers. That was it, well… almost. This whole week many sessions will reveal various new potential features and futures. I aim to report on those when sitting in on those presentations, or potentially after VMworld.